I am one of a group of Belfry landowners who recently filed suit against the Carbon County Commissioners to vindicate our right to protect our property, health, and livelihoods through local action. On February 13, seven landowners went to court to challenge the County’s decision to reject our petition to set up a zoning district in our neighborhood to address the effects of oil and gas drilling. The zoning district is the first step to enacting reasonable protections for our water and air and requiring that wells are a reasonable distance from our homes. Oil and gas drilling has always been a part of our lives. The first well in Elk Basin, just a few miles up the hill from where we live, was drilled exactly 100 years ago. Big oil trucks regularly rumble down the dirt road that cuts through our properties, leaving a trail of dust that coats everything. The Silvertip Pipeline, which ruptured underneath the Yellowstone River three years ago, runs right through our land. But when Energy Corporation of America announced plans to use horizontal drilling and hydraulic fracturing to “bring a little bit of the Bakken” to our community, everything changed. It meant that oil drilling would no longer be occurring a few miles up the hill where no one lives, but would take place right in our back yards. No matter what the oil and gas industry tells you, drilling for oil and gas causes problems. It contaminates water, air and soil. There is no shortage of nearby examples: a well blowout in Clark, Wyoming; groundwater contamination in Pavillion, Wyoming and Poplar, Montana; regular stories of spills and leaks throughout the Bakken; pipeline spills under the Yellowstone River. To be clear, we are not taking this legal action to ban oil and gas drilling. We are not trying to stop any of our neighbors who own mineral rights from realizing profit from their own property. We are just asserting our rights under Montana law to make sure that our water, our air, our soil and our way of life are protected if oil and gas drilling does occur. We have done everything we can to work within Montana law to make this happen. When ECA filed for a permit to drill near our homes, the Montana Board of Oil and Gas Conservation, the statewide permitting agency, refused to allow us to testify. Working with Northern Plains Resource Council, we had to file suit just to receive a hearing. Then they ignored our respectful requests for water protection, well design specifications, and setbacks from occupied residences. We have also gone to Helena to testify for bills in the current legislative session. Those bills, endorsed by the editorial board of the Billings Gazette, would require water testing, setbacks from occupied residences, disclosure of the chemicals used in fracking, increased bonding from operators to cover potential damages, and safer well design. Not one of these bills made it out of committee, and they likely won’t be considered again until at least 2017. We have been among just a few residents who have regularly attended meetings to develop Carbon County’s five-year growth plan, which will be approved soon. In its current draft, this plan will encourage residents to apply for special citizen-initiated zoning to protect their properties. This is exactly what we have done. On two occasions, over two-thirds of the landowners in our community have signed petitions to establish the Silvertip Zoning District, in accordance with Montana law. This district would set up a planning and zoning board that would set rules for water, air, and soil testing; noise and light reduction, use fees and other regulations that would allow drilling to take place in a way that protects the rights of local landowners. In December, the Commissioners approved the zone, stating it was “in the public interest and convenience for public health, safety and welfare, and for the public infrastructure.” But in January, after a handful of our neighbors protested, they rescinded. We are left with no choice. The Montana Constitution guarantees every citizen a right to a “clean and healthful environment.” We are taking action to defend that right because our government will not. This entry was posted in Community Organization, Politics and History and tagged Billings Gazette, Bonnie Martinell, Carbon County Commissioners, Carbon County Growth Plan, citizen initiated zoning, clean and healthful environment, Energy Corporation of America, Montana Board of Oil and Gas, Montana legislature, Northern Plains Resource Council, Silvertip zone. Bookmark the permalink. It is a shame when citizens have to go to court to secure the rights afforded in the state constitution. Most people would just tire of the struggle and give up. 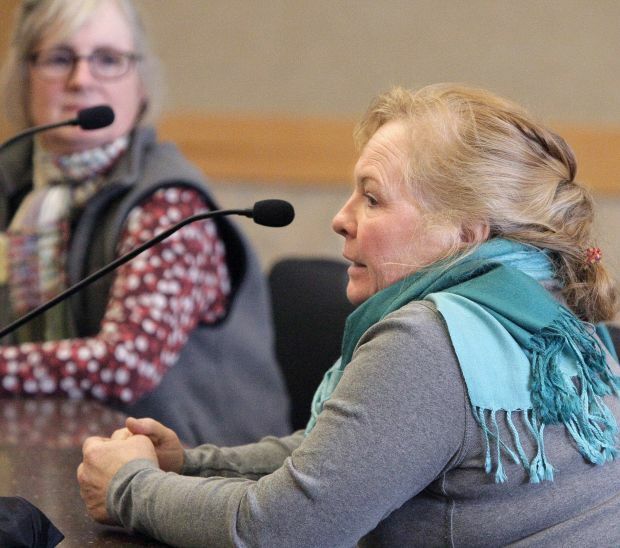 Good for Bonnie Martinell — we need more citizens like her.